Over 90% of the seafood consumed in the U.S. is imported , much of it from Asia . 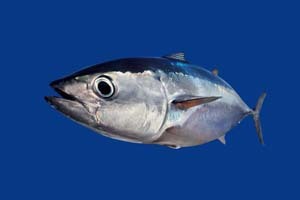 The safety of food from these countries is cause for concern , particularly regarding seafood [4, 5, 6, 7]. The FDA only inspects some 2% of it, of which only a tiny fraction is analyzed for banned chemicals or other adulterants (e.g., 0.1% in 2009) . Seafood was involved in 45% of the disease outbreaks caused by imported food from 2005 to 2010 . Regardless of source, seafood remains by far the overall most hazardous food, in terms of illnesses per pound of food consumed . Toxic seafood is frequently the subject of consumer warnings (“advisories”) [11, 12]. Additionally, an estimated one-third of seafood sold by retailers and restaurants in the U.S. is mislabeled, further adding to human health concerns [13, 14]. The U.S. Food and Drug Administration has begun to allow the use of irradiation on some aquatic species in an attempt to control foodborne pathogens and extend shelf life. Food & Water Watch warns that this practice will allow other countries “to continue to raise their seafood products in filthy and unsanitary factory fish farms since irradiation will be used as the ‘magic bullet’” . Radiation does not destroy all pathogens , would make fish unpalatable , and poses potential health risks of its own . the greatest risk factors for autoimmune diseases, even at low levels , and it can also counter the beneficial effects of omega-3 fatty acids . Dioxins, chemical compounds produced by industrial processes, can interfere with hormones, damage the immune system, and cause cancer and reproductive and developmental problems. Fish and other animal products are the primary source of human exposure to them . Fish is also the most common source of exposure to polychlorinated biphenyls (PBs), dangerous chemicals shown to cause cancer and a variety of adverse effects on the reproductive, neurological, hormonal and immune systems . Aquatic animals can also be high in cholesterol. For example, a three ounce T-bone steak contains 70 milligrams of cholesterol whereas three ounces of shrimp contain 161 milligrams . Fish also has saturated fat. Between 15 and 30 percent of the fat in fish is actually saturated fat, which stimulates the liver to produce more cholesterol. Fish and other animal products are also devoid of fiber . Fish and fish oil are often touted for the benefits of omega-3 fatty acids in the prevention of heart disease but plant-sourced fatty acid has been found to be as effective . In addition to contamination problems, fish oil tends to go rancid, becoming a health hazard . Good vegan sources of omega-3s include: walnuts, soy products, flaxseed and flaxseed oil, chia seeds, hemp products, and acai berries, algae supplements (algae being the source from which fish obtain omega-3s). The great news is that all the nutrients derived from fish (and fish oil) can be obtained more healthfully, humanely and environmentally responsibly from plant sources. This includes marvelous vegan versions of virtually every type of seafood (and other food) imaginable. They’re better for us, for the other animals, and for the environment. They’re also delicious! 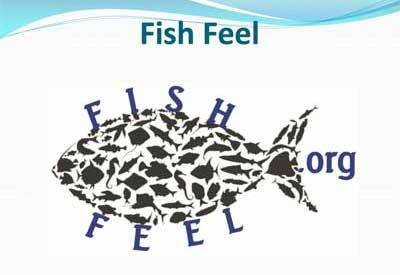 Visit the Fish Feel website for recipes, products, and other vegan seafood resources. “Wise seafood choices may be an oxymoron” – Dr. Marion Nestle, Paulette Goddard Professor in the Department of Nutrition, Food Studies, and Public Health, New York University . Not if they’re vegan seafood choices! The content provided here is for informational purposes only. It is not intended as medical advice.